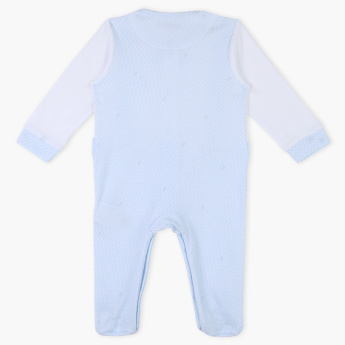 Grab this soft and cosy sleepsuit which will lend warmth to your little one while sleeping. This has a front opening with an inbuilt design of dungaree and it is embellished with a bowknot. The appealing print all over will make your little one look attractive.